Pat Ngoho and Pedros Barros won the Oakley 2011 Bowl-A-Rama. Results and pictures at isTia. The best skaters in the world, competing in the finest bowl in New Zealand, set against the iconic Wellington harbour. 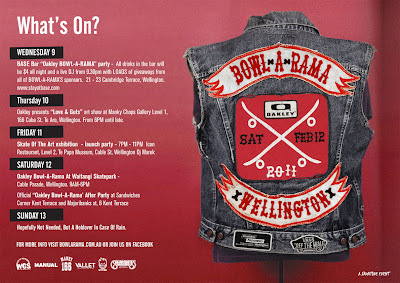 This is BOWL-A-RAMA Wellington. 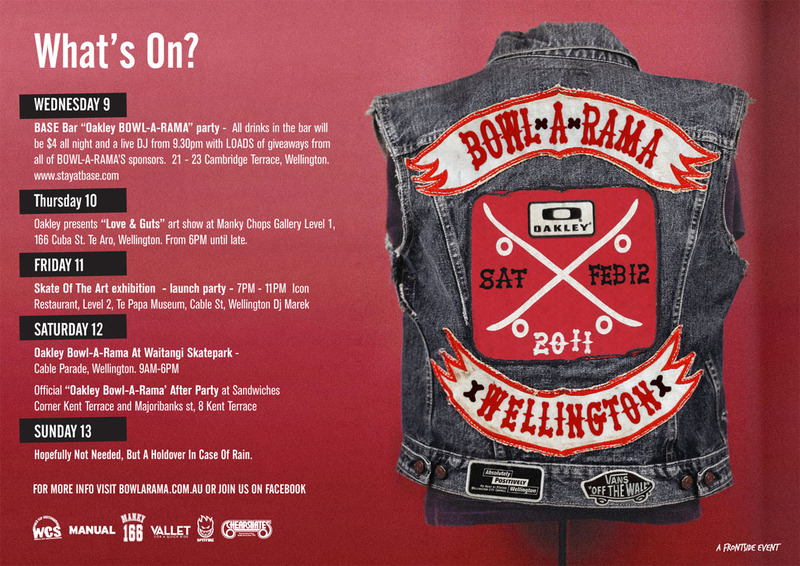 We’re throwing everything at it for BOWL-A-RAMA 2011 - legendary riders competing for the biggest prize money in the history of New Zealand skating, plus a week-long festival including art shows, video premiers, live music performances, giveaways and more. It all kicks off Wednesday 9th with the Love & Guts art show, and runs all week with a heap of events. 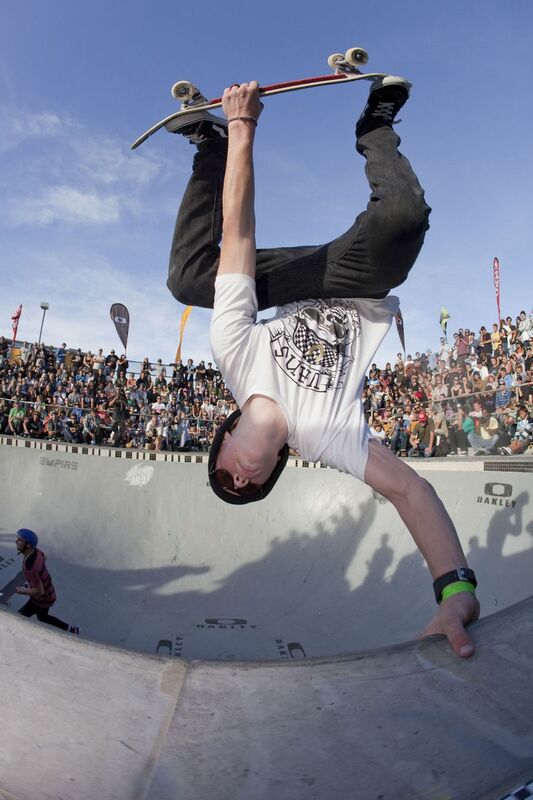 The competition is on from 9am - 6pm at Waitangi Skatepark. EVENTSLOVE & GUTS ART SHOWWe’ve rounded up some of the world’s most creative skaters past and present for the annual international travelling exhibition. WRAP PARTYSandwiches nightclub will again be hosting a full week of BOWL-A-RAMA festivities which will culminate in one huge blowout on the Saturday night. More details to come. SPECIAL EVENTSAs we get closer there will be some more announcements coming that will stoke everyone out – keep checking in for full details soon. RAIN DATEBeing Wellington we all know the weather. So in case of rain be prepared for the event to run on Sunday 13th should the weather turn.